Migration is often a stressful process that can have deleterious effects on health. We study the potential mental health consequences of migration by comparing Mexican migrants to the United States who have since returned to Mexico with Mexicans who have never migrated. Data from the Mexican Migration Project were used to compare returned migrants and non-migrants in Mexico for the years 2007–2016 (N = 7716). Random intercept logistic regression models were used to estimate the associations between characteristics of migration and psychiatric problems. Coarsened exact matching was implemented to account for the selection bias inherent to migration. Relatively healthier Mexicans were more likely to migrate to the United States, regardless of their documentation status. 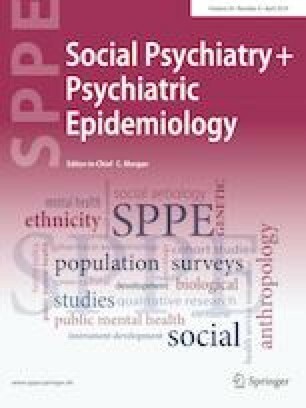 Returned migrants in Mexico who traveled to the United States while undocumented were significantly more likely to report that they experienced psychiatric problems when compared with non-migrant Mexicans, even after adjusting for demographic, socioeconomic, pre-migration health, and community-level factors. Undocumented return migrants in Mexico are at-risk of developing psychiatric problems, despite evidence that suggests migrants tend to be healthier than non-migrants before they travel to the United States. Mental health services should encompass strategies for migrants on both sides of the border. The online version of this article ( https://doi.org/10.1007/s00127-019-01699-6) contains supplementary material, which is available to authorized users.